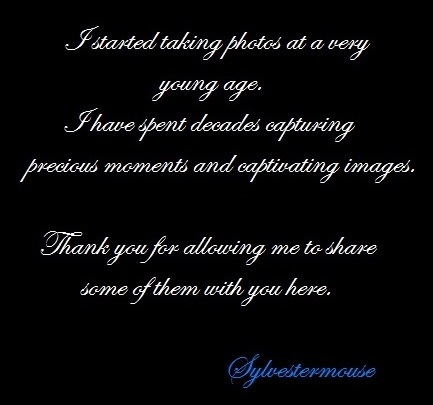 This entry was posted in Notes from the Photographer and tagged photographer, photography, photography by Cynthia Sylvestermouse, sylvestermouse. Bookmark the permalink. Your photography is always beautiful! I love all your pictures and you created a great site to showcase them! What gorgeous photos. I have always loved taking pictures too, but it takes know-how to capture a picture. I need some more know-how!